If you’re looking to get into cross training, you’ll need a pair of great shoes that are versatile enough to handle various sports like running, tennis, basketball, etc. In this article, we’ve reviewed the 5 best cross training shoes for men 2019 on the market. Cross Training is sweeping the world as one of the most effective methods of conditioning and cardiovascular exercises. It involves combining regular high intensity running with a variety of different forms of training including swimming, cycling, strength training, and various others. In doing so, you provide your body with a more dynamic form of workout and even train muscles that aren’t used while running. Since cross-training is an extremely intensive form of workout, you need the right gear to do it correctly. If you go about it with the wrong form or the wrong gear, you risk burning out faster and caving into fatigue. To cross train correctly, you need to invest in one of the best cross training shoes for men available. Cross training shoes are usually a hybrid of various forms of footwear including basketball shoes, tennis shoes, running shoes, and various others. 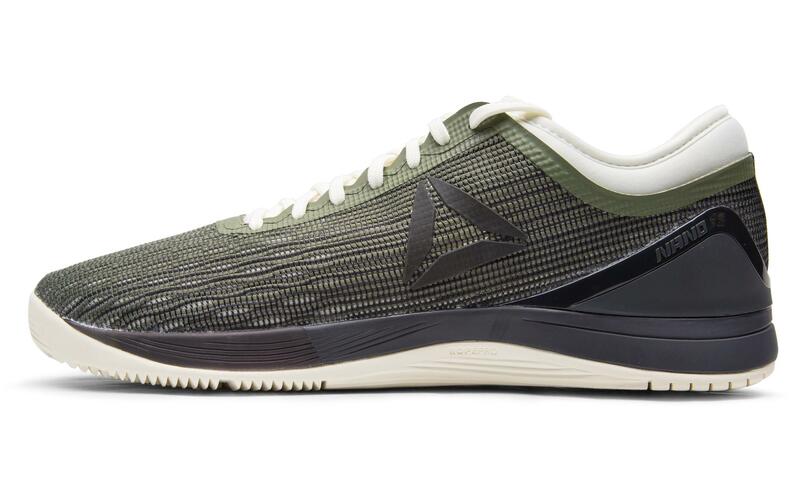 These shoes are versatile enough to be used for any number of activities — they have the forefront cushioning needed for volleyball, the heel cushioning needed while running, and the lateral stability necessary for basketball, amongst others. While cross training shoes are extremely versatile, different shoes come with different sets of focus points and features. For a novice cross trainer, the choices can get overwhelming. That’s why we tested out some of the most popular cross training shoes for men on the market and consulted some expert trainers, to find out which are the best cross training shoes for men. So read on for a detailed review of the 5 best cross training shoes for men. NIKE Men’s Free Trainer 5.0 is the undefeated champion of cross training shoes for men. This model is designed for athletes who require agility and flexibility from their shoes — two of the most important aspects of cross training. It’s made of Synthetic and Mesh material that remains extremely durable while also providing breathability to the foot. No matter how hard you train, the insides of your shoes won’t get damp and disgusting. The rubber soles feature a six-point flexibility groove, and the heel is anatomically rounded, to facilitate the natural gait of the foot and offer support. The Flywire technology used inside the laces helps keep the foot in place and provides ideal comfort so you don’t have to keep adjusting your shoes while training. And the molded sock liner ensures that the shoes adapt to the shape of your foot and encase it comfortably. 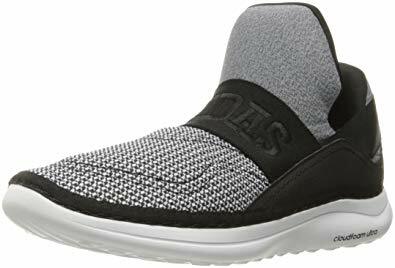 NIKE Men’s Free Trainer 5.0 is the best cross training shoes for men on the market as it provides flexibility, agility, superior comfort, and durability. Reebok Crossfit Nano 8.0 is the ideal cross training shoes for those whose training is centered around complex rope climbing maneuvers and trail running. The best aspect of this model is RopePro, a feature that provides added traction while performing complex maneuvers like climbing ropes or running on wet or slippery grounds. The sock-like Flexweave feature ensures that the shoes can be worn comfortably with enough breathability but no room for disengagement. It also retains its flexibility for all kinds of activities. Available in 18 designs and color combinations. Shaft is low-top from arch. Great traction while rope climbing or running on slippery ground. Reebok Crossfit Nano 8.0 is the best cross training shoes for men focused on rope climbing and long-distance trail running activities. ASICS Men’s Gel Craze TR 3 has been designed and crafted with some of the latest footwear technology available. One of its best features is the Fluid Ride Midsole which provides a lot of great traction and comfort, and it also gives the wearer some bounce to run and perform faster and better. Available in 4 colors — Onyx/Black/White, Asics Blue/Flash Yellow, Dark Grey/Orange/Black, and Black/Onyx/Lime. Shaft is 2.75” from arch. Lateral Outrigger for lateral stability. Asics High Abrasion Rubber (Ahar) for enhanced durability. Ideal for cross training and strength training. Too narrow for wide feet. If you go for a larger size, then the toes start swimming in additional space. 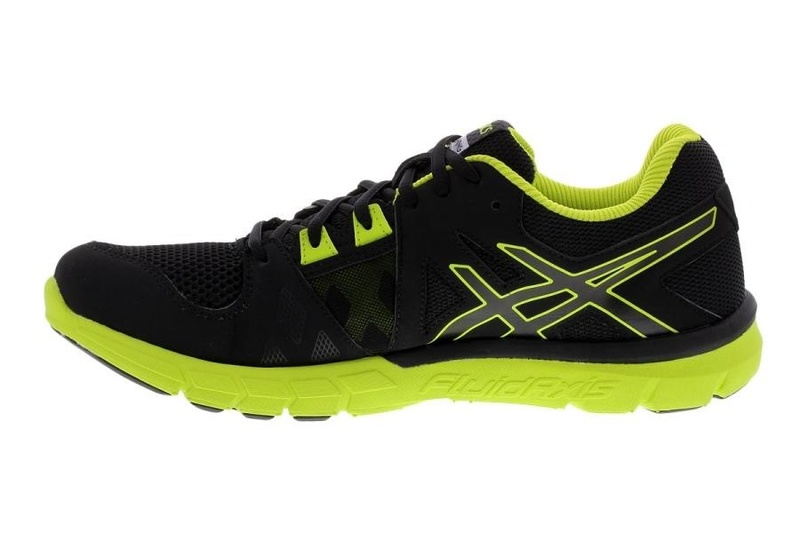 ASICS Men’s Gel Craze TR 3 has a lot of promising features that enhance lateral flexibility, cushioning, and durability. However, the fact that it’s narrow makes it unsuitable for many people. The Adidas Performance Men’s Cloudfoam is the ideal shoes for comfort, durability, and great relaxation. It’s great for easing your foot during periods of rest so that you’re supercharged to give the next training burst your everything. However, it has one fatal flaw in that it prioritizes aesthetic appeal instead of flexibility. The large Adidas loop on the front of the shoes can restrict movement. Available in 5 color combinations — White/Black/Light Scarlet, White/Black/Light Onix, Blue/Dark Navy/White, Clear Onix/White/Black, and Ray Red/Black/Light Scarlet. Shaft is 3.5” from arch. Cloudfoam Ultra Footbed for extra-soft cushioning. Injected EVA Outsole for bounce and traction. The large adidas loop offers some resistance. Like always, Adidas has provided an extremely stylish and feature-heavy product that would be perfect if it weren’t for the Adidas loop at the top. Unfortunately, they favored aesthetic over flexibility. 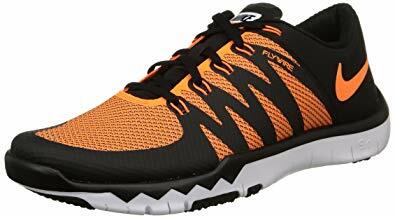 Inov-8 Men’s F-LITE 235-M is a pair of cross training shoes for men focused on weightlifting. It has denser heels than most which gives it the ideal push you need to lift heavy weights. The dense heels also provide great shock absorption when running on rough terrain. However, it also makes the shoes heavier. Not ideal for people either with narrow or extra wide feet. Inov-8 Men’s F-LITE 235-M is the ideal cross training shoes for men who are more engaged in weight-lifting than the other components of weight training. In order to make it more easy for you, we have provided the Buyer’s Guide. It will help you choose the right fit. Just go through this info, before shopping for the Cross Training Shoes. Cross Training Shoes are better known for their versatility. These shoes are designed in such a way that it can be used for various activities (from aerobics to sports). Anyone can wear it comfortably for performing a number of activities. Cross Training Shoes are more comfortable and stable when compared with walking shoes. And they are breathable too which is a very important thing. However, they are heavier than shoes configured for a specific purpose, due to their multipurpose design. But, it can be ignored because it makes the shoes stiffer as well. Cross Training Shoes provides the cushioning and great support, which makes it more flexible to use. They also provide the cushioning for jogging and resistance training. This shoe features the patented Secure Lacing System. This lacing mechanism improves the shoe’s stability during lateral movement and ensures a better fit overall. Cross Training Shoes are long-lasting and durable when compared with other walking shoes. They are designed to provide more durability since you need to make the lateral movements while performing the activity. The idea is to have a shoe that is appropriate for more than one activity. Cross Training Shoes are more economical than buying the designated shoes for each sport. However, you can opt for this shoes only if it meets all your needs. If not you can go for sport-specific shoes. Also, remember that, if you are doing a particular activity regularly, such as walking or running, then you need to choose the specific shoes which support the activity more accurately. Wearing the shoe which suits your foot shape is the foremost consideration. If you don’t do so, then you will end up with a pain in your feet. So, you need to find out the shoes which suit you best. First, see if you are flat-footed or if you are having high arches. Then, choose the shoes appropriate to your foot shape. Before purchasing the shoes, you must try and test it. The shoes which you have tried must make you feel comfortable. That is, it should provide the perfect fit. We recommend you to buy your shoes only after making the trail. Also, don’t forget to put on your workout socks while having a trial. There are several brands and it is usual that you will have many options. So, it becomes important to choose the right one which fits you perfectly. Don’t go with your favorite brand instead look for the pair of shoes which makes you feel comfortable. And, for that, you need to try on the various brands to find the perfect one. To have a good grip, you must ensure that the shoes you choose have the maximum traction. Though most of the Cross Training Shoes are designed with more traction when compared with running or walking shoes, you should not ignore it. Try on the shoes until you feel the comfortable grip. When you’re in the store, looking for cross training shoes for men, the following are some of the main features to look out for. People tend to sweat a lot when they’re cross training. This leads to retention of moisture in the shoes, which leads to a dampness that obstructs training efficiency. To prevent that, your shoes need to be breathable — preferably with the help of a mesh fabric — to keep the feet fresh. Cross training can take you from grasslands to rocky surfaces, from long-distance running to rope-jumping, your shoes need to protect you from all surfaces. They need to have enough cushioning to keep you going through rocky terrain, traction for slippery grounds, and shock absorption to stave off fatigue. This is an extremely crucial feature in cross-training shoes because different exercises require you to move in different ways. As such, the shoes need to be flexible enough to accommodate all of that. You need shoes with soles that are thick enough to provide traction, comfort, and shock absorption. However, they shouldn’t be so thick that they cause a discomfort or drastically increase the weight of the shoes, leading to difficulty in movement. Cross training requires your shoes to go to hell and back. As such, you need shoes that can sustain continuous and heavy abuse and still stay strong. The mesh needs to be firm so it doesn’t start tearing, the sole needs to be firm, and the material should be durable. Your shoes should be just the right size for optimum comfort. You should be especially careful about the toe box. It shouldn’t be so tight that your toes are squeezed together, nor so roomy that they’re slipping. I hope this article has helped you decide which is the best cross training shoes for men for your specific needs. In addition to reviewing the 5 best cross training shoes for men 2019, we’ve also provided a Buyer’s Guide at the end of the article to help you make the correct decision. If you have any other questions about the best cross training shoes for men, feel free to mention it down in the comments section.